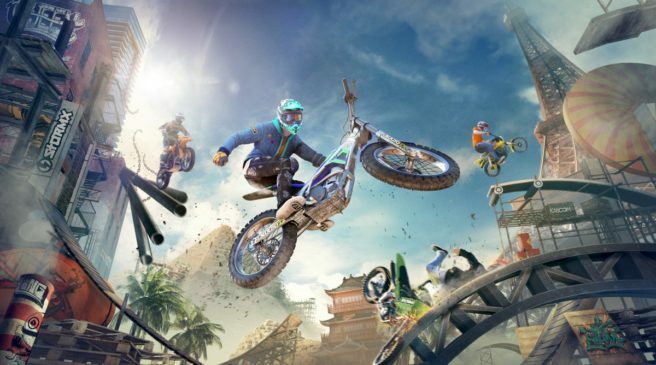 Trials Rising is kicking off its first season today. Players can participate in online races, climb through the ranks, and with each new division they reach, a new part of the five-piece Golden Cowboy Outfit will be theirs. The competition lasts through the end of May. During that time, new customization items will become offered through Gear Crates and in the Gear Store. The fun continues in April with the free Easter Event, which lasts for two weeks and introduces themed customization items for a limited time, including an Easter Bunny outfit. These items will be offered in special Easter Event Gear Crates or through the Gear Store. Players can also have a chance to earn a themed helmet by completing a special Ubisoft Club Weekly Challenge: collect glowing data cubes hidden throughout 10 select tracks. Finally, on April 16, Trials Rising’s Sixty Six expansion launches. The DLC is included in the Expansion Pass, and will also be available for standalone purchase.